Back in July, I was browsing the #explorebranson hashtag on Instagram in search of fun new things to do, and got SUPER excited when a post from Pot A Gold Stables showed up in the feed. 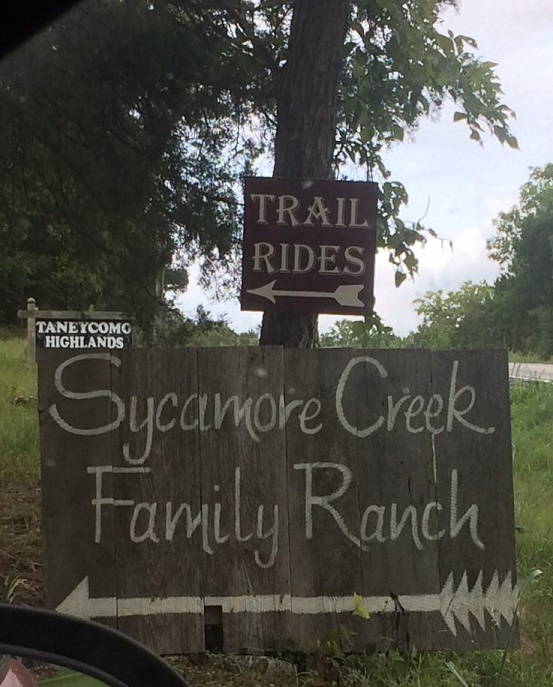 I had NO idea there was a new trail riding place near Branson! 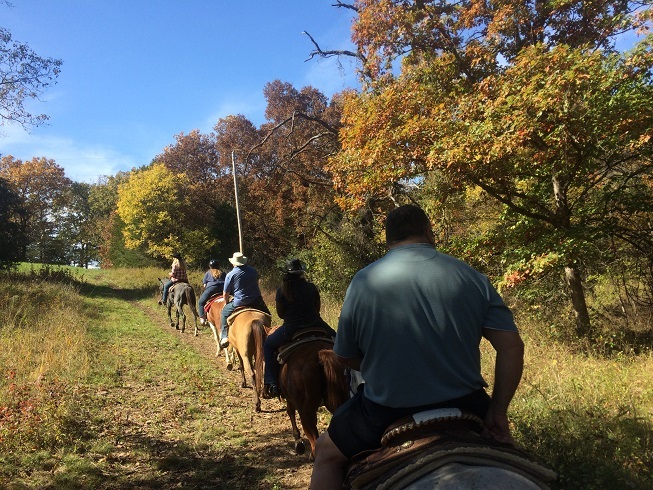 If you read my blog often, you might remember that I’ve been taking Hunter/Jumper (English) riding lessons for a little over a year, but I haven’t had the chance to go trail riding in a couple of years, so a relaxing trail ride through the Ozarks sounded perfect! Pot A Gold Stables is located just across Lake Taneycomo from Downtown Branson on the same property as the Sycamore Creek Family Ranch, which serves as an event and wedding venue. 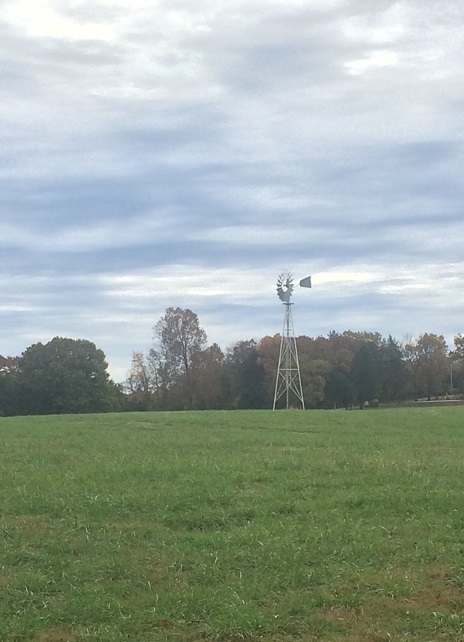 Although the ranch is off the beaten path, it’s easy to find. From the Branson Landing area, you just cross the bridge and only have to make two turns after that – about a ten minute drive. The final road leading up to the stable is gravel, but it’s pretty smooth for a gravel road and my little car had no problem with it. 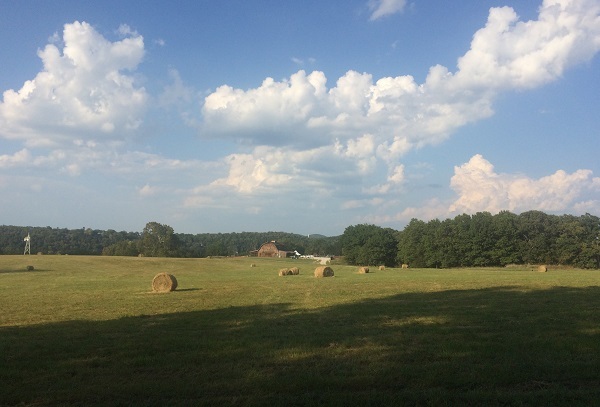 There’s parking just a few steps from the barn, which is super convenient! 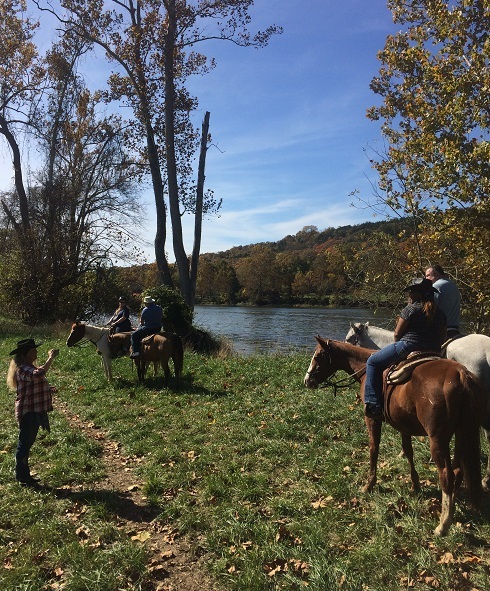 Pot A Gold Western Adventures offers one, two, and three hour trail rides, which I LOVE. It’s so hard to find a barn that offers rides longer than one hour! If this is your first time on a horse, you’ll probably want to stick with an hour, but if it’s something you’ve done before and know you like, definitely go for the two hour ride! For me, an hour on horseback just flies by, so I’m all about the 2 and 3 hour options! On the opposite end of things, they don’t have a weight restriction to ride but you do need to let them know if you’re over 250 lbs when you make the reservation so they can have a horse ready to accommodate you. I know that can be a delicate subject to bring up to a stranger, but both you and the horse will be way more comfortable and safe! What should you wear for a trail ride, and what should you bring along? Definitely wear long pants – jeans are probably going to be the most comfortable. I know shorts might seem like a good idea when it’s hot, but trust me, they’re not. Not only do legs rubbing against your saddle get painful, but you’re riding through the woods where branches and bushes can scratch bare skin. Jeans are your friend! Closed toed shoes are another must. Boots are great, but tennis shoes will work just fine in a pinch. I actually tend to ride in a pair of $30 boots from Target most of the time. Something with about a 1-inch heel is ideal, because that keeps your foot from slipping through the stirrup. Avoid anything with an actual 2+ inch heel, though. (As a side note, there are several great thrift stores in Branson, so if you’re visiting and want to pack light, you could easily find jeans and boots for a few dollars and then just re-donate them before you leave town.) Depending on the weather, you may also want to bring a hat or sunglasses and a light jacket. Be sure to bring a bottle of water (saddle bags are available so you can bring it with you on the ride), and if it’s a hot day, you might want to bring two! Tips for your trail guides are not required but are definitely appreciated, so you may want to bring some cash as well. Children are required to wear helmets, but older teens and adults can choose whether they’d like to or not. The horses are very well trained and used to beginners, but even with the best trained animal there’s always a chance something could happen. I always wear a helmet when I’m riding English, but generally don’t for Western. Just go with whatever you’re more comfortable with! Let’s get back to my actual experience, though! I wound up riding a super sweet little mare named Izzy. I could tell from the beginning that she was super chill and I’d be able to just relax and enjoy my ride, which is exactly what I’d been hoping to do! A funny side note – she was over a foot shorter than the horse I usually ride for jumping, so when it came time to get off her it was like, “WHOA, there’s the ground already!” I gave her lots of love post-ride and asked the guides if it would be ok to give her some of the horse treats I keep in my car (What, everyone does that, right?) as a reward for her hard work. We became instant buddies. The trails at the ranch are absolutely beautiful. 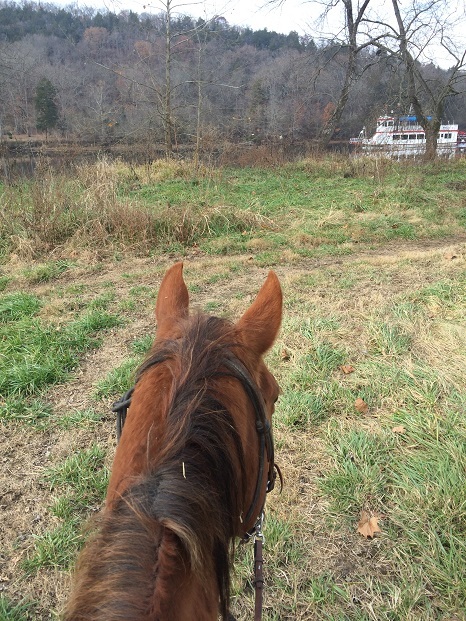 You get to ride through the woods, along Lake Taneycomo, through big open fields, and even down a path that winds through a patch of bamboo that’s like 12 feet high! Most of the ride is very relaxed and easy, but there are a few challenging parts mixed in for a little excitement. The location also makes it a perfect place to spot wildlife. We saw baby deer on my ride, but bald eagles, herons on the lake, giant groundhogs, an other Missouri wildlife are also common. The horses are all very well trained and beginner-friendly. A lot of horses would freak out at things like passing a big tractor or seeing a deer jump out, but nothing bothered these guys. 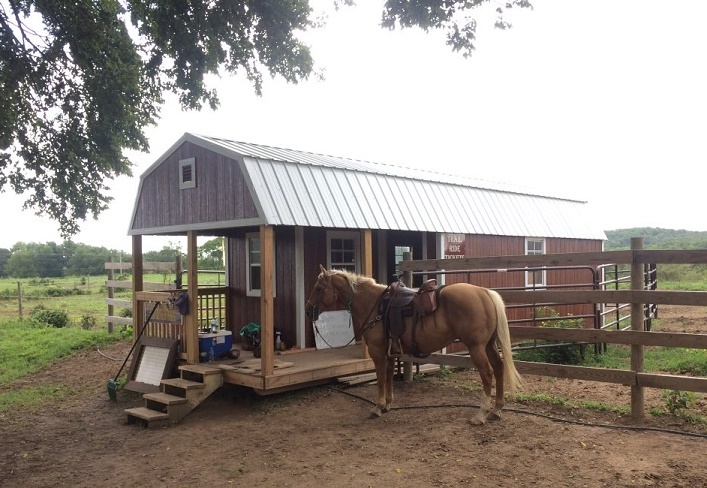 Another common issue with trails horses is being barn sour (not wanting to leave the barn and wanting to run when they’re getting close to home), but the Pot A Gold horses stayed relaxed the whole time. At the same time, if you actually do have riding experience, you’ll notice that they don’t just mindlessly follow the horse in front of them like a lot of trail horses do. I played around with giving Izzy some very subtle cues while we rode, and was pleasantly surprised by how well she listened to me. Pot A Gold’s Branson location is currently closed for the season because riding in 30 degree weather is no fun for anyone, but if you’re planning to visit Branson in 2019, be sure to put it on your list of Missouri adventures, as the current plan is to re-open in March! 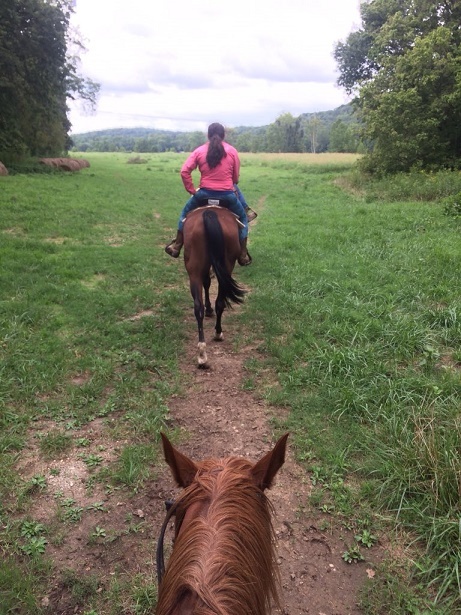 I need to add an important note here at the end: I received a complimentary trail ride in exchange for sharing my experience with my readers- pretty standard for travel blogging, but I actually started working for this company about a month after my first ride. 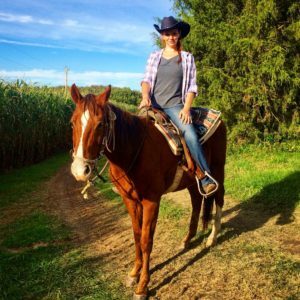 I wrote most of this post right after the trail ride and before I started working there, so I’m glad I preserved my original opinions fresh after the experience before I started viewing everything through an insider lens! I tried to primarily only use photos from that first ride, too, but I did end up adding in a few photos from later rides just to flesh the post out a bit. 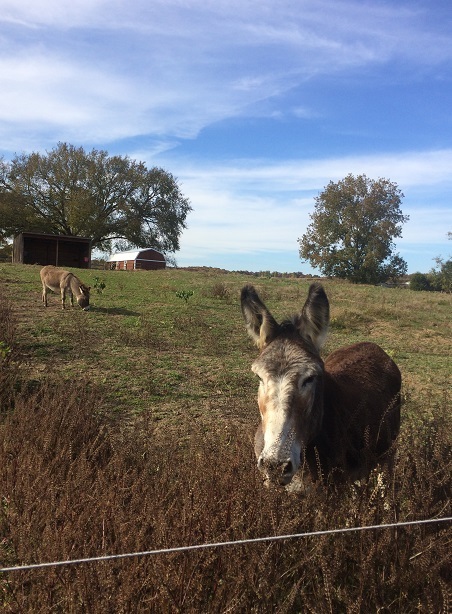 I’m working on another post about my experiences during my first season of guiding trail rides, but I wanted to keep this post in the pure, unbiased view of a guest. Hope that makes sense? Either way, feel free to fire away with questions whether they’re about trail riding in Branson or trail riding on vacation in general or working with horses or anything else and I’m happy to answer! 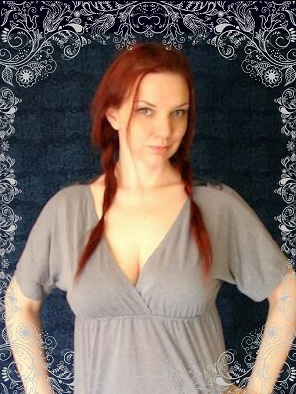 You can find Pot A Gold Western Adventures on Facebook and Instagram (you’ll spot me in a few pics there! ), and learn more on their website!